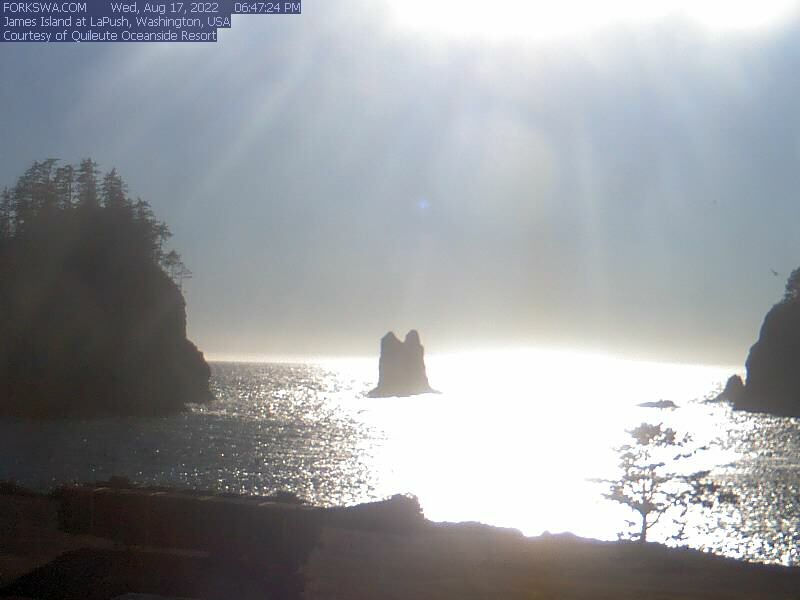 Before you plan a trip to the North Olympic Peninsula, let the web cameras on this site serve as a guide to some of the more natural and pristine views this region has to offer. The unique climate, forested and mountainous regions, and sweeping coastal plains offer myriad experiences for natural and hiking enthusiasts seeking a place of escape, contemplation, and respite from concrete jungles. 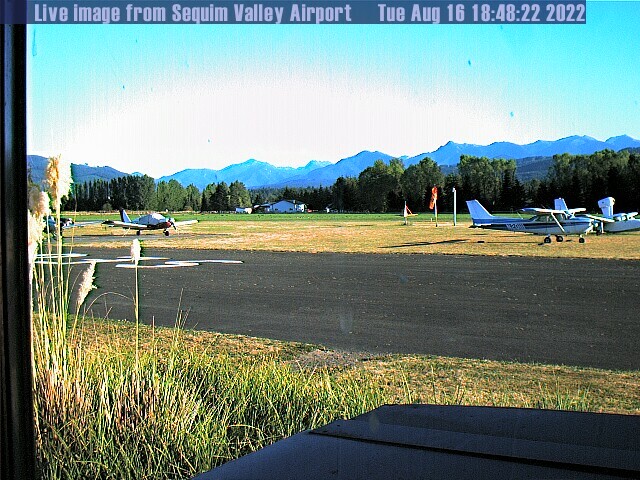 The various Olympic Peninsula web cameras to which we are linked are updated daily, and can give you a quick glimpse of the weather in a given area. It’s fitting that in one of the most naturally pristine regions of the world that there should be a center that pursues a scientific approach to solving problems regarding forestry and marine sciences. Working as a part of the University of Washington, the Center, based in Forks, houses a pool of expertise in forest resources, and ocean and fishery sciences. It is a center that focuses on collaborative efforts and seeks to pave the way from education to outreach, gathering researchers, students, professionals, and the public. Visit the site to learn about Forest Research, Marine Program, GIS Services, and more. Merging to form the Quillayute, the Sol Duc and Bogachiel meet one another in this web cam view, before the Quillayute flows to meet the sea. The Sol Duc runs for approximately 78 miles, possessed of several tributaries along the way. A variety of fish occupy its streams, but it is well known for wild winter steelhead spawning and coastal cutthroat trout. With a similar ecosystem of fish, the Bogachiel is around 50 miles in length. Since the headwaters of both the Bogachiel and the Sol Duc are not fed by glaciers, their fishing seasons are longer since they don’t experience spring and summer flooding that would otherwise load the current with sediment and make fishing difficult or impossible. Surrounded by a network of hiking trails, this lake is the result of a landslide several millenia ago that segregated it from Lake Sutherland. As a result, two genetically isolated fish — the Crescenti and Beardslee trout — now inhabit Lake Crescent. This pristine region of the Olympic Peninsula offers all the natural recreation one could want at any time of the year. Its waters fare well with visitors during summer and fall. But it never loses the sense that its natural beauty remains undefiled and largely separated from the developed areas of the world. An unincorporated community on the border of Jefferson County and Grays Harbor County , situated near the Pacific Ocean and lies along the Queets River, bordering the northern reaches of the Quinalt Indian Reservation. Residents of Queets are primarily Native American of the Quinault Indian Nation. Queets is near the Olympic National Park and the Olympic National Forest. Named for its the windstorms and gales that greet it, Hurricane Ridge is a popular spot for hikers, skiers, and anyone seeking to appreciate a sweeping view of the Olympic Mountain range. Access to it is gained via paved road from Port Angeles. What’s more, its elevation ensures that snow can fall there throughout the year, and makes the Ridge all the more primal thanks to the sometimes erratic nature of its weather. Situated at the end of the 5.5 miles-long Dungeness Spit, the longest natural sand spit in the world, the New Dungeness Lighthouse has a rich history that began in 1857. Learn more. First opened in 1961, the bridge experienced a massive failure brought on by Mother Nature in 1979, when, after withstanding several hours winds at 85 mph (gusts at ~120 mph), the pontoons supporting this floating bridge broke away and it sank. Federal Emergency Funds were used to help restore the west half of the bridge, which was reopened in 1982. Efforts to restore the east half proceeded from 2003 to 2009, and pontoon reconstruction began in 2006. Located between Port Angeles and Sequim, this bed & breakfast inn sites on a bluff overlooking the Strait of Juan de Fuca. Encompassed by natural scenery, the inn offers resplendent views of both mountains and ocean alike, and wildlife frequent the grounds as if the man-made structure itself were just part of the pastoral. A breathtaking field of organic lavender stretches out atop a geothermal heating system, part of the inn’s natural and sustainable energy source. The inn’s namesake is derived from its namesake, George Washington’s home, which inspired the design and building of the inn. The accommodations are luxurious, comfortable, and the perfect complement to the natural beauty that abounds it. More than just the setting for Stephanie Meyer’s “Twilight” novel series, Forks, WA is a scenic area of the Olympic Peninsula, situated near and named for the forks in four nearby rivers: nearby Quillayute, Bogachiel, Calawah, and Sol Duc rivers. At the town’s website you’ll find a handy travel guide and information about the area. Sequim is a quaint, former farming town on the North Olympic Peninsula of Washington State. It is located in the rain shadow of the Olympic Mountains and only gets an average of 11 inches of rain a year, which gave rise to its own native cacti. With easy access to hiking, fishing, boating, biking, and various other outdoor activities, Sequim has become a go to retirement location and attraction for nature enthusiasts. The Dungeness Spit is the longest in the world, and draws visitors and seabirds from everywhere. The annual lavender festival draws large crowds every year and boasts several full time lavender farms.